Ford was called the best company in the area of creating of independent cars. The Navigant Research company called Ford the leader, which produces systems of the autonomous control of cars. The annual research conducted independently has shown the recent positions of producers of systems of the off-line control. Experts of Navigant Research took into account not only the general strategy but also quality of their realization. The research was conducted among 18 leading players of the market by 10 various points, including the general plan and vision of the project, the strategy on the market, the attracted partners and viability of developments. ‘There are no doubts that in the nearest future people will come to using the self-driving cars. Ford made its best for a gain of the advanced positions in this area. We move in the right direction. The company pays the greatest attention to questions of safety of our clients. At the same time, the workers seek to create the steady business, which is capable of placing possibilities of the latest technologies at the common help for people’ – the executive vice-president for development and the technical director of Ford Motor Company notes. In recent years, Ford has made the big break in the field of development of the equipment on the basis of the Autonomous Vehicle Platform. Also, developers created the software within the Virtual Driver System. Since 2013, the company actively operates the test park of the Fusion Hybrid cars equipped with systems of off-line control for making various tests on the closed routes and public roads. Ford has created a division of Ford Smart Mobility LLC, which will deal with issues of commercialization of new transport strategy of the company, including solving problems of operation of self-driving cars. After Ford, there are General Motors and alliance Renault-Nissan in the published rating. 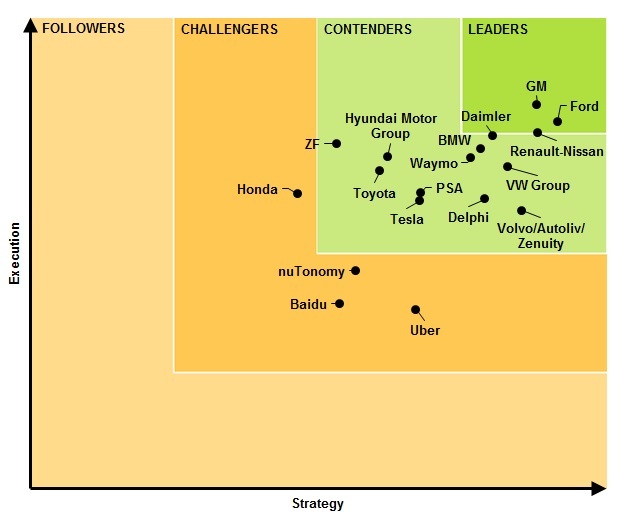 Daimler, Volvo, and Hyundai have got into top ten. It is remarkable that Tesla hasn’t appeared among them. Most likely, the recent accidents and scandals connected with work of systems of the autopilot on Model S and Model X have affected. Producing of the self-driving car is only the one task, which producers have. Also, such vehicle demands the adaptation for the stable driving on the roads. Safety is the main problem, which the car has. Until this problem won’t be solved, the car won’t be released. 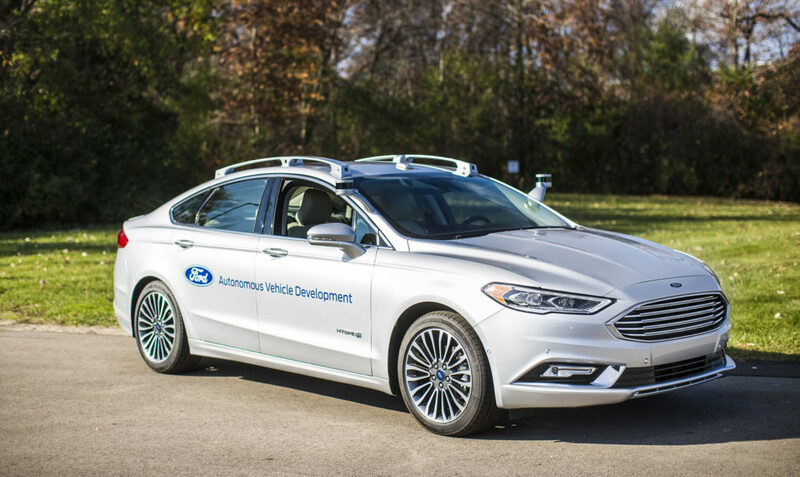 Ford has the biggest chances to become a leader in the self-driving industry, but it can lose its positions if other producers of this kind of the vehicles will increase their productivity.